Why is Everyone putting Butter in Coffee? Why Put Butter In Coffee and What Is Bulletproof Coffee Anyway? Have you noticed that everyone is starting to add butter to their coffee instead of regular milk? Maybe you noticed that we’ve been making delicious creamy dreamy butter coffees via our facebook or instagram feed? We’ve noticed 2 main reactions to the idea of butter coffee: people are either disgusted at the idea (they’re crazy) or extremely intrigued and they want a taste test (our kinda people!). Firstly, why put butter in coffee and where did all this come from? It all began with Bulletproof Coffee and bio-hacker Dave Asprey. Dave hacked his health with research and technology. In doing so, he lost around 50kg, increased his IQ, spent 250K and created both Bulletproof Coffee and the Bulletproof diet. Team Bulletproof say that the buttery coffee goodness provides the energy hit from a normal cup of coffee BUT without that 3pm crash. They say that the butter’s high-fat content slows the time it takes for our bodies to metabolize the coffee’s caffeine. Meaning increased energy, decreased crash. To make the proper Bulletproof Coffee you will need their special upgraded beans (grown at high altitude and processed in a manner that eliminates inflammation causing mould toxins… don’t worry our jaws dropped too), grass fed butter or ghee plus brain octane oil. Optimoz (the Aussie Bio-hackers) sent us a stash of Bulletproof items. 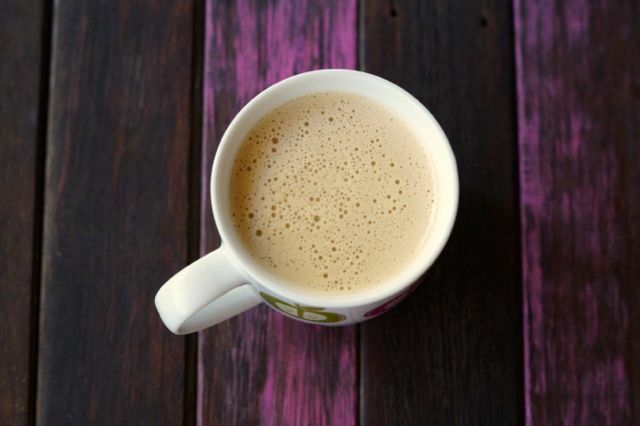 So we can vouch that Bulletproof Coffee is all kinds of amazing (maybe… magical!). Yes we got the longer lasting energy, it kept us full, it’s delicious and we swear our brains actually worked better! Like we were really aware and awake, we didn’t have any anxiety and there was no crash! Before we tried the proper Bulletproof branded stuff from Optimoz we used regular store bought ingredients. So this means it’s super easy for you to try if you want to test it out! 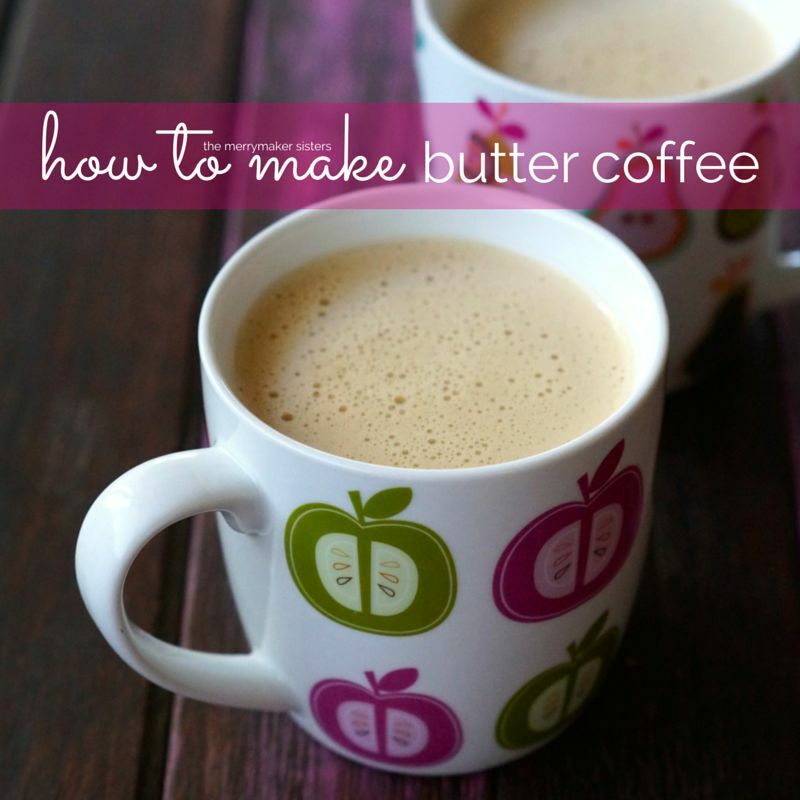 There’s a few things you’ll need to check for when creating this yummy butter coffee. First, your butter must be grass fed and with no added salt (for taste reasons). Next is the brain octane oil. Say whaaaaa? It’s like supercharged coconut oil. So when we first tried it out we just used coconut oil. Last is the coffee! We did about 2 hours of reading on this topic (freaked ourselves out) and went down a Bulletproof Coffee internet wormhole! Ahhhhhh! After this research we can say that coffee is the most chemically treated crop in the world… plus the regular industrial process creates toxins and mould. And we drink that! We’ve been trying to ensure we drink organic coffee but didn’t even think of the moulds/toxins created in the process of preparing the beans! So things to look for when buying beans: wet processed, grown in high elevation, not sun dried, not blended, organic! Yahuh, think we might get some more Bulletproof Coffee beans! Eeeek! Any who, it’s time to get your butter coffee drink on! Even if you don’t have the best coffee, try it out anyway and see how you feel/how you like the taste! Remember, lifestyle changes are all about the transition. Small changes to create a happier, healthier you, no pressure required! P.s. Stay tuned for more bio-hacking… this could be fun! P.p.s head on over to our Instagram to enter our FLASH giveaway full of Bulletproof products! Brew your coffee and boiling water in a coffee plunger (french press). Rinse your blender (we use our Vitamix) with hot water to heat it a little. Once the coffee is brewed add it to the blender followed by butter and oil. Whiz for about 30-60 seconds until it's frothy and delicious looking! We want to thank Optimoz for sending us an AH-mazing package filled with Bulletproof and Primal Collective goodies. This is not a paid sponsored post, we just really really really love Bulletproof Coffee and team Optimoz!